Jani Hileman is a multidisciplinary sculptor whose practice navigates ceramics, metal, wood, and photographic materials. Her work is often made with intensive hands-on processes that allow the materials to influence the final aesthetic of each of her pieces. She draws inspiration from her materials, landscapes, personal experiences, feminism, environmentalism, politics, as well as her own intensive work ethic. Throughout her various projects, Hileman explores the every day, the body, craft, gender, and the nature of objects themselves. Jani Hileman exhibits her art throughout the mid-Atlantic region, having participated in group shows such as the Annual MICA Juried Ceramics Show, the MICA Juried Undergraduate Show, as well as at the Demuth Museum in Lancaster, Pennsylvania and The Walters Art Museum in Baltimore, Maryland. 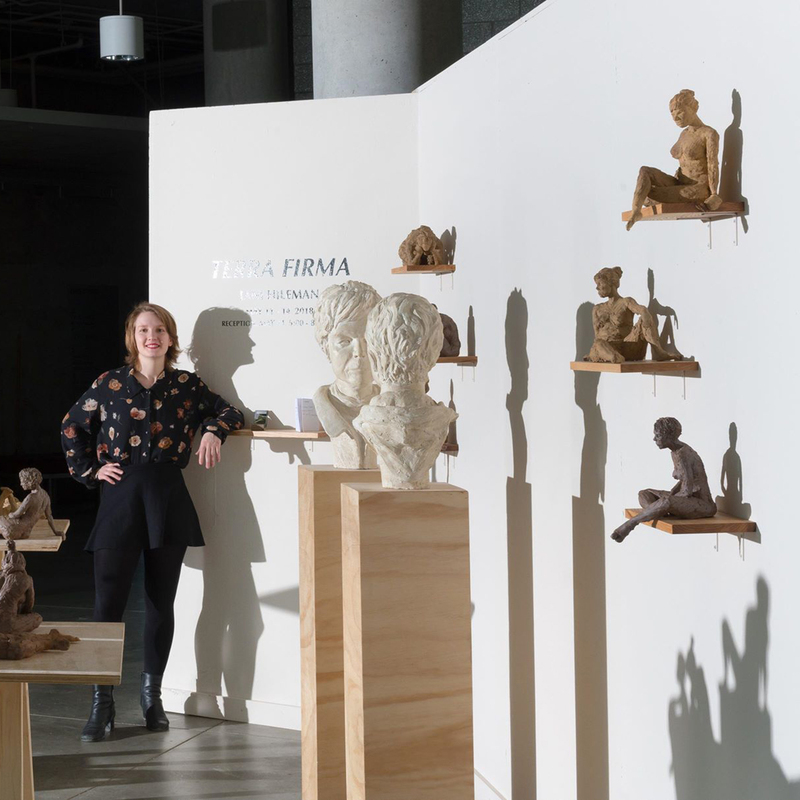 Hileman completed her BFA at The Maryland Institute College of Art (MICA) in 2018, where she was a 2017 Meyerhoff Internship Fellow, received a MICA Alumni Scholarship, and was the Ceramics Department Nominee for the Windgate Fellowship. She was born in Lancaster, PA and is currently based in Baltimore as a resident artist at Creative Alliance.